Professor Lillian Allen’s smile graces the cover of NOW magazine’s education issue, where she is interviewed about the university’s new BFA in Creative Writing. What sets the program apart from other creative writing programs in Ontario is the studio-based approach to the study and practice of writing as artistic creation. Students study writing while exploring multiple art and design practices, perhaps incorporating words and poetry into sculpture, installations, performance or painting in new and unconventional ways. “If there’s one form that can work with any art form you can imagine, it’s the language-based form. You hardly see any artwork these days without writing involved. It’s also the way we’re guiding the program,” says Allen, who is a well-known dub poet and writer, as well as an academic. The program emphasizes the practice, craft and production of spoken, written, visual and verbal texts as well as experimental language forms that break from traditional ways of approaching the written word. 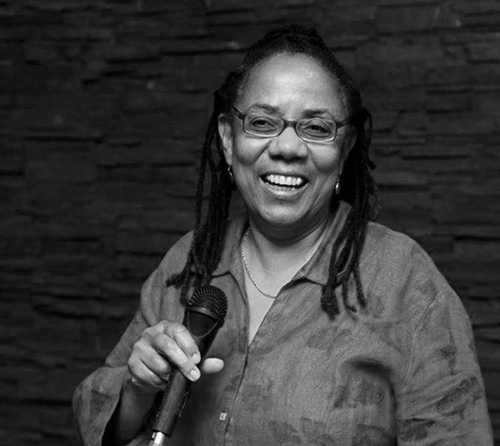 Internationally acclaimed writer, dub poet and a professor in OCAD U’s Faculty of Liberal Arts & Sciences, Lillian Allen, has guest-curated a four-week series of poetry, music and spoken word at the Art Gallery of Ontario (AGO). As part of Toronto: Tributes + Tributaries, 1971-1989, the landmark ‘celebration of the voice’ exhibition showcases an array of established and budding local artists, featuring some of Toronto’s most dynamic spoken word talent. The AGO Friday Nights in October series offers an opportunity to experience artists who worked during the period the exhibition covers. The final Friday in the series features a performance by Allen, herself, on October 28 (Lillian Allen & the Revolutionary Tea Party with Janet Rogers and Amani). Allen and her band will be re-creating the activism and cultural revolution of her groundbreaking, Juno award-winning album, Revolutionary Tea Party, along with some new content. As a writer, vocalist and social activist, she has recorded several albums, including Revolutionary Tea Party (1986) and Conditions Critical (1988), for which she received Juno Awards for best reggae/calypso album. 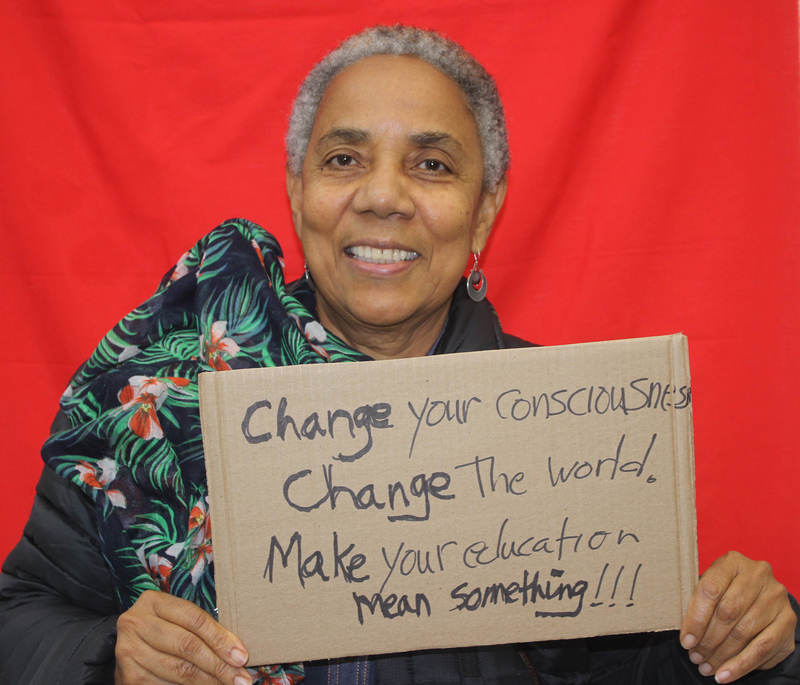 As one of the originators of dub poetry, she is the founder of the DubPoets Collective in Toronto and has led such programs as Fresh Arts, Native Women in the Arts and Black Arts Service Organizations. In addition to the performances, visitors can hear Allen’s Revolutionary Tea Party album on the AGO’s fourth floor. The exhibition is included in general admission. The Box is a quarterly salon night of readings, performances, screenings, interventions and networking that aims to bring diverse communities and audiences into an environment of artistic and social intermingling. Cherie Dimaline is a Metis author living in Toronto with her husband and their three children. Her first award-winning book, Red Rooms, was published in 2007. She is currently the Writer in Residence for First Nations House at the University of Toronto and is the Editor-in-Chief of both FNH and Muskrat magazines. Her first novel, The Girl Who Grew a Galaxy has just been released by Theytus Books. Peter Dudar began his career as a painter and transitioned into conceptual art. In the early 1970s, he created the performance art partnership Missing Associates in collaboration with dancer/choreographer Lily Eng. Their partnership produced a unique hybrid of conceptual art, experimental dance and multimedia art. They were prime movers of the first wave of Toronto and international performance art and experimental dance in the 1970s. Post Missing Associates, Dudar screened internationally as a filmmaker. American Film Festival, New York, USA, 1983: “Peter Dudar's film DP is powerfully evocative. Many striking images and creative effects. The juxtaposition of words with related film clips is absolutely brilliant.” Currently, Peter Dudar makes video and photo-based artwork. His 2011 video Starlings (at Nightfall) won the Steam Whistle Homebrew Award at Images Festival “in recognition of its arresting cinematic composition and elegant study of movement.” Just recently, his video Shamans, the Cunning won the Best Experimental Film Award at the TUFF Festival, after screening on Toronto's subway system to 1.3 million commuters. Peter Dudar's just-released eBook: Missing Associates: Lily Eng and Peter Dudar documents Missing Associates' origin in Canada and subsequent progression throughout the Americas and Europe. Clara Engel is an independent, multi-faceted artist and musician based in Toronto, Canada. She has independently recorded and released eight albums, and has collaborated with musicians and artists from the UK, Germany, Brazil, Canada, Turkey, and the US. Engel's music has been played on Italian National Radio, as well as BBC Radio 2, making it onto Tom Robinson's show "BBC Introducing" on several occasions. Record labels Vox Humana (UK) and Backwards Music (IT) have released Engel's work on vinyl. Some artists with whom Engel has collaborated: Aidan Baker (Musician, Berlin/Toronto), Larkin Grimm (Musician, NYC), Bruno Capinan (Musician, Brazil/Toronto), Stefan Orschel-Read (Fashion designer, UK), Nick Fox-Gieg (Animator, Toronto/NYC), Ebrahel Lurci (Artist, Turkey). Engel recently wrote and recorded a soundtrack for the short film "We Are Not Here" directed by Aaron Mirkin, due out in early 2013, and is currently mixing a new album "Ashes and Tangerines," due for release in 2013 through Talking Skull, a Montreal-based label. Laura Nanni is a Toronto based artist and curator. Her performance and installation work has been shown across Canada, the US, the UK and Europe. She is currently heading into her 4th year as the Rhubarb Festival Director. Most recently she completed a residency at Videofag based in Kensington Market. Steve Puchalski was used to being the centre of attention. As an actor, you'd recognize him from his appearances in commercials and TV shows. However, Steve needed to get away from it, as far away from it as possible. You can't just leave acting; it's like the mafia, you need to disappear. Puchalski packed his personal effects, his acoustic guitar and headed to Berlin where he joined the elusive and mythical cult of the Roadie. He hauled gear from Stockholm to Warsaw, setting up and tearing down in 400 year-old castles and open-air festivals. Hard Sell was more or less written by the time Puchalski touched down in Victoria after nearly a year of being a road-worn stranger overseas. He bought an old Chevy S10 and trekked across Canada, coming back to his hometown of Toronto and assembled the band: Adam White, Gavin Maguire, Jim Bowskill and Ian McKeown. You can't get two roles more opposite than actor and roadie, but it was these two career paths Puchalski chose that eventually birthed the singer songwriter that he is today. In the end, the hard sell was the plan, or lack thereof. No one expected the journey to turn out like this, and Puchalski wouldn't have had it any other way. Michael Snow was born and lives in Toronto. He works in many mediums: drawing, painting, sculpture, photography, holography, film and video. He is also a musician who has made many recordings and has done sound installations. He has produced many book-works such as Michael Snow/A Survey (1970), Cover to Cover (1975) and BIOGRAPHIE (of the Walking Woman 1961-1967) (2004). His films have been widely presented at festivals in North America, Asia and Europe. His work is in many major private and public collections worldwide. Solo exhibitions of Snow’s visual art have been presented at museums and galleries in Amsterdam, Atlanta, Berlin, Bonn, Boston, Brussels, Istanbul, Kassel, Lima, Los Angeles, Lucerne, Lyons, Minneapolis, Montreux, Munich, New York, Ottawa, Paris, Pittsburgh, Quebec City, Rotterdam, San Francisco, Vienna and elsewhere. He has executed several public sculpture commissions in Toronto, notably Flight Stop at Eaton Centre, The Audience at Rogers Centre, and The Windows Suite at the Pantages Hotel and Condominium complex.His numerous awards include a Guggenheim Fellowship (1972), Order of Canada (Officer, 1982; Companion, 2007), and the first Governor General’s Award in Visual and Media Arts (2000) for cinema. Snow was made a Chevalier de l’ordre des arts et des lettres, France, in 1995, and received an honorary doctorate in 2004 from the Université de Paris I, Panthéon-Sorbonne. He is represented by Jack Shainman Gallery in New York, àngels barcelona, Martine Aboucaya in Paris, and Galerie Klosterfelde in Berlin. Jessica Westhead’s novel Pulpy & Midge was published by Coach House Books in 2007. Her short story collection And Also Sharks, published by Cormorant Books in 2011, was a Globe and Mail Top 100 Book and a finalist for the Danuta Gleed Short Fiction Prize. +Door treats from Alert Music, Arc Poetry Magazine, Carousel, Descant, Coach House Books, Dandyhorse, DC Books, Geist, John Kamevaar, Grain Magazine, House of Pomegranates, Hunter and Cook, Mercer Union, Pedlar Press, Public, The Malahat Review, Matrix, Shameless, Tightrope Books, Transit Publishing, Worn Journal and others. Many Thanks to the Toronto Arts Council.